Not only does this pub serve brilliant booze and grub (at fairly brilliant prices…) but it has one of the most BRILLIANT beer gardens in London. This lively sun trap is extra buzzing on a Sunday, but we’d recommend getting there in good time…the wooden benches get snapped up fast! The views at this joint are simply gorgeous. When you get to The Barge, head around the back and soak up some great, chilled out riverside atmosphere. Quick warning – sometimes the path gets flooded due to the changing tide! But who doesn’t like sticking a cheeky toe in every now and then? If you like to drink in places where the history’s as important as the drinks list, the Grade II-listed French House should be on your list. 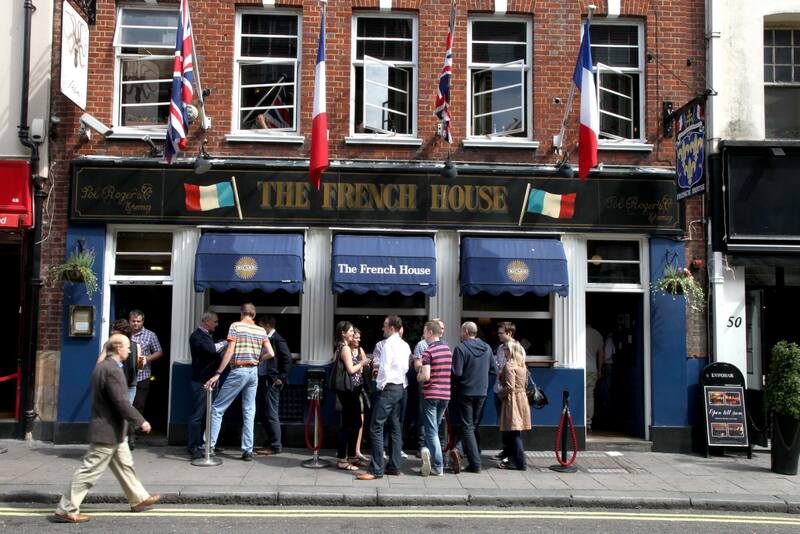 Charles de Gaulle used the pub as a workplace during World War II and both Dylan Thomas and Francis Bacon both drank here…it is Soho history at its best! And, with a no phones policy, perhaps the most soho-ciable of the lot! An architect’s heaven! There are few pubs in London that offer as much in terms of atmosphere and intrigue as the Faltering Fallback. 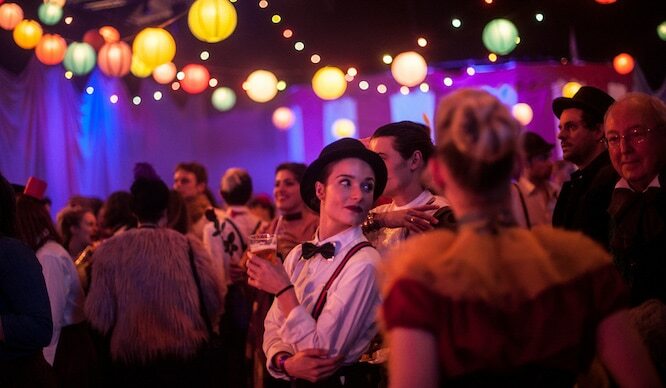 Filled with bric-a-brac, vintage posters and a(nother) impressive beer garden, this is a pub that has everything for everyone! Except pub grub…instead it offers a tasty Thai menu. Yum yum. 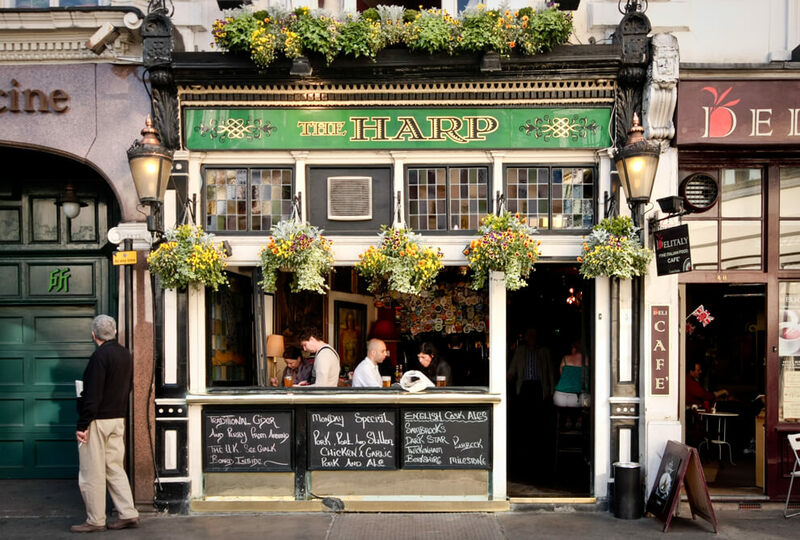 This traditional pub is one of London’s finest. All about the ales (with a choice of 10 hand pumps!) and prices that are blissfully low means that it is a perfect example of a true British ale house. No TV, no juke box, just good conversation and even better beer! 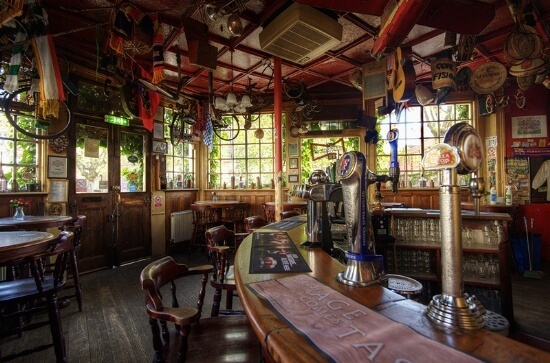 Close to Little Venice, The Prince Albert has been described as a ‘relic of Dickensian London’. A grade II listed building, it was built in 1856, and still has its original snob screens! For a super cosy afternoon, spend some time in their original Victorian snugs: each has its own door from the street & is separated by a wooden partition with a small access door. CUTE! Oh, and the food is to die for. 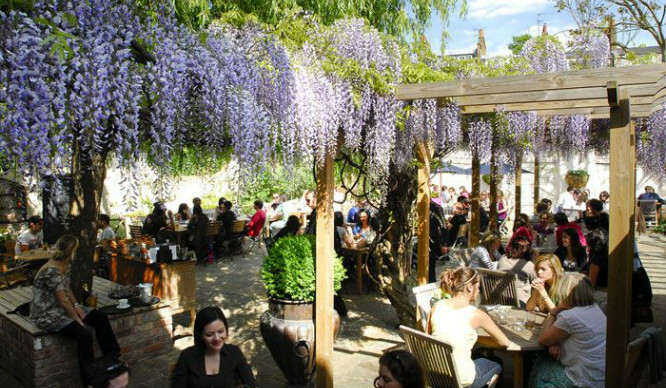 With over-hanging wisteria, pergolas and picture-book charm, this glorious little beer garden will make you feel like you’re sipping a cider in a quaint countryside village, not in Islington. 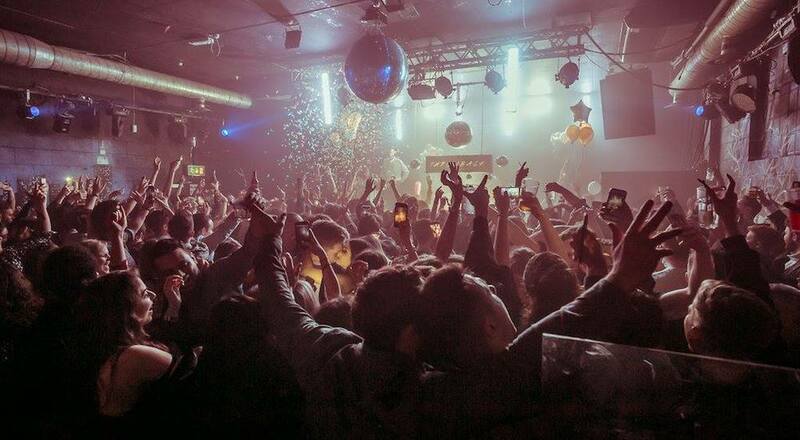 The prices, however, are most definitely London ones…so maybe limit yourself to one an hour?